Finding a good juicer can be a confusing and time consuming task. There are so many different brands, prices, and types of juicers available these days how do you make sure your getting the best juicer for the money? That's what we created this page for. Below we listed five of the best juicers currently available. If a juicer in our top five list isn't what your looking for we wrote some tips on what to look for when purchasing a juicer that will keep you happy and healthy for years to come. We offer free shipping and a low price guarantee! The Super Angel Juicer 5500 will juice almost anything from carrot and apples to wheatgrass and spinach. It is not limited to just regular juicing but you can enjoy soy milk and delicious tofu. The revolutionary, all stainless steel design incorporates a twin gear impeller press system that powerfully rotates at a low 86 rpm (the most ideal speed), that can keep all enzymes and nutrients alive in the juice. The price of the the Super Angel 5500 Juicer may be out of some of your budget, but it will make more juice with less fruits and vegetables than any other juicer, which will save you money in the long run. The Super Angel is guaranteed to produce the best juice you ever had and comes with a 10 year warranty. 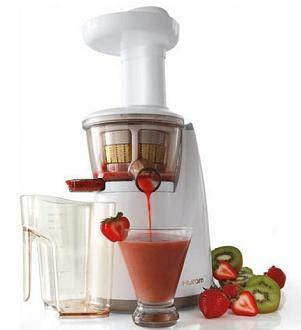 The juicer is currently on sale for $1,149.99. The price may be too high for some but having a juicer with this good of a juice yield will put more money in your pocket in the long run. To view more details Click Here. 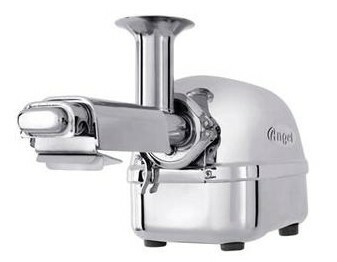 Our second rated best juicer is the Omega VRT Upright Juicer . This is considered an upright masticating juicer, meaning it uses a single gear and literally chews fruit and vegetable fibers and breaks up the plant cells, resulting in more fiber, enzymes, vitamins and trace minerals. This juicer was packed with state of the art features for it's price range. It's super quiet, easy to use and most importantly easy to clean. This juicer is on sale for $379.99. Click Here for more details. 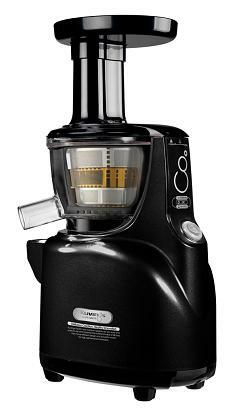 Our third highest rated juicer is the Hurom Slow Juicer. Most of our customers say it's the best juicer they have used for the price range. This juicer is known for having a high juice yield, meaning it'll make more juice than most juicers out of your fruits and vegetables. If you can't afford a juicer such as the Super Angel this is the one you would want to go with. It's stylish, fast, easy to clean and comes with a 10 year warranty! We have it on sale right now for $359.99. Click Here for more details. Our 4th great juicer award goes to the Kuvings Silent Juicer. It honestly could be rated #2 or #3 these juicers are that close when it comes to the quality of the product. This juicer looks amazing in the kitchen, comes in many different colors for you to chose from and is possibly the quietest juicer ever made. This juicer and the Hurom Slow Juicer are almost identical when it come to the quality of juice. It's great with fruits and vegetables and can even juice wheatgrass! We currently have it on sale for $369.99. Click Here for more details. 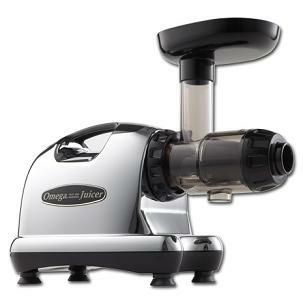 Our number five rated best juicer goes to the Omega 8006 Single Gear Juicer. 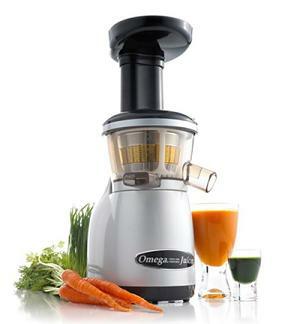 The Omega 8006 juicer works with fresh produce of every variety to enrich your life from the inside out. Using a low speed of 80 RPMs allows the juicer to operate using minimal heat build up and oxidation promoting healthy enzymes and juicer that lasts for a longer period of time. With a patented auger made from ULTEM material from GE, the Omega Juicer 8006 Single Gear Juicer is one of the most durable juicers on the market today. It also happens to be one of the quietest and makes juice with little to no foam compared to other juicers on the market in this price range. If you would like to learn more about this juicer Click Here. Ease of Operation- No matter how enthusiastic you may be, if juicing becomes a hassle, you either won't do it or you won't do it as often as you should. Your juicer should be both easy to use and easy to clean. Will it last- You get what you pay for. Quality juicers have quality warranties. Many juicers under $100.00 have cheap brush motors that can't handle cores, rinds or seeds; every piece of produce has to be sliced into small pieces so that the motor doesn't burn out. The best option is to go with a quality juicer that's at least $300. Yield per Pound- This is what really counts and separates the 'good' from the 'not so good'. A good juicer can extract much more juice per pound than a cheaper one. You may save $100.00 by buying a cheap juicer now, but every time you make juice you are literally throwing money away. A good juicer can get up to 25% more juice per pound than a cheaper one. So in a year your $100.00 saving is gone right down the drain. Literally. Juice Quality- A good fruit and vegetable juicer makes high quality juice that has a high nutrient and enzyme content which is very important. Some juicers smash the fruits and veggies to such an extent that the beneficial chemicals in the juice are broken down, and some juicers spin so fast that there is a much higher oxidation rate (more oxygen causes the juice to spoil faster). So, it's important to find a machine which has the right balance and can cope with all the fruit and vegetables you want to juice while at the same time producing nutrient rich juices. Power and Speed- You need a machine with a motor of at least 1/4 horsepower to do the job properly. Some of the cheaper juicers just don't have the power so you end up with a lot of juice left in the pulp and the juicer of course will wear out much faster. You also need to consider the speed at which the juicer operates.